Slice cheese lengthwise into four pieces. Cut a slit in each hot dog, from one end to the other, without cutting through the bottom. Insert one piece of cheese into the slit of each hot dog. 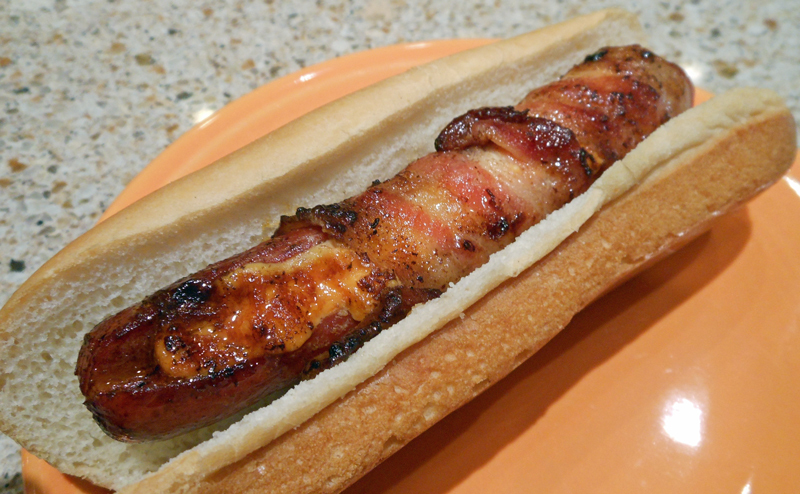 Wrap in bacon; secure with toothpicks. (I didn’t because I grilled them in my grill pan in the house.) If grilling outside, you will want to use the toothpicks. Grill until bacon is cooked through.